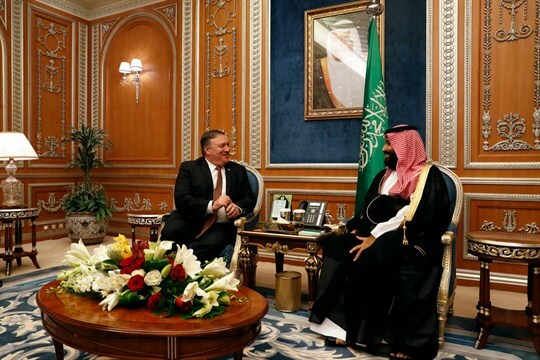 U.S. Secretary of State Mike Pompeo and Saudi Crown Prince Mohammed bin Salman in Riyadh, Saudi Arabia, Oct. 16, 2018 (AP photo by Leah Mills). The details of just how Jamal Khashoggi met his death in the Saudi consulate in Istanbul are still shrouded in mystery. Given the interests of all sides in covering up what really happened, those shadows are likely to linger even after an official story is concocted and a scapegoat sacrificed.